News HERO: The Brand New Gaming Chair from noblechairs! 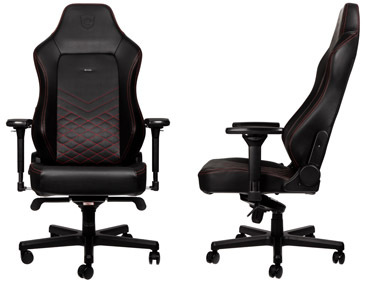 The new HERO series from noblechairs focuses specifically on offering improved ergonomics. The completely redesigned backrest is now equipped with an integrated, infinitely variable dial that controls the lumbar support. 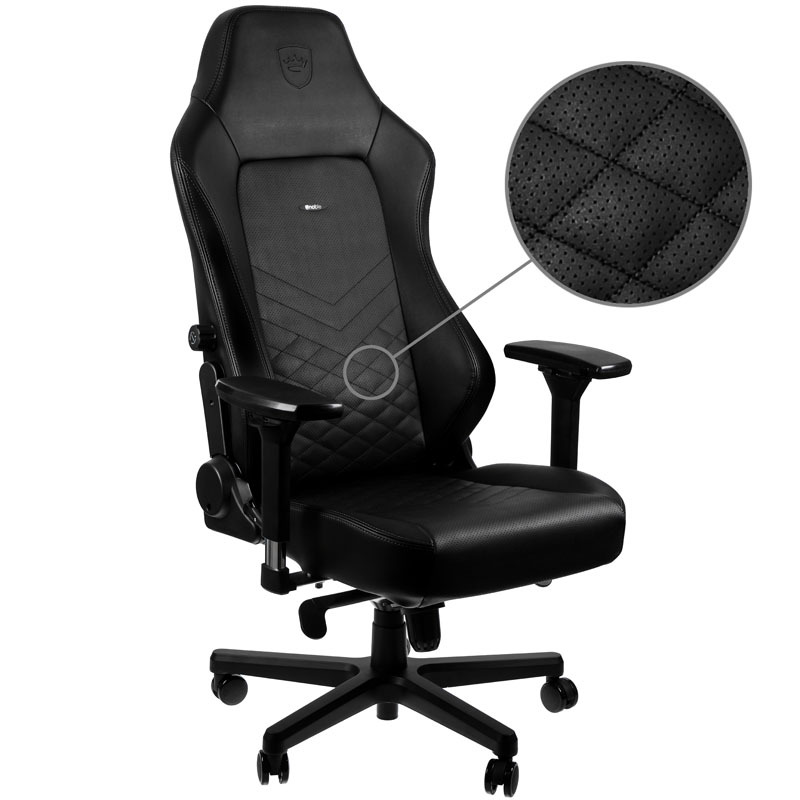 This enables the HERO gaming chair to offer optimal comfort, even over long days of work or for extended gaming sessions. This is a gaming chair made for heroes! Optimised ergonomics are the decisive factory when it comes to chairs you plan to user over prolonged periods of time. 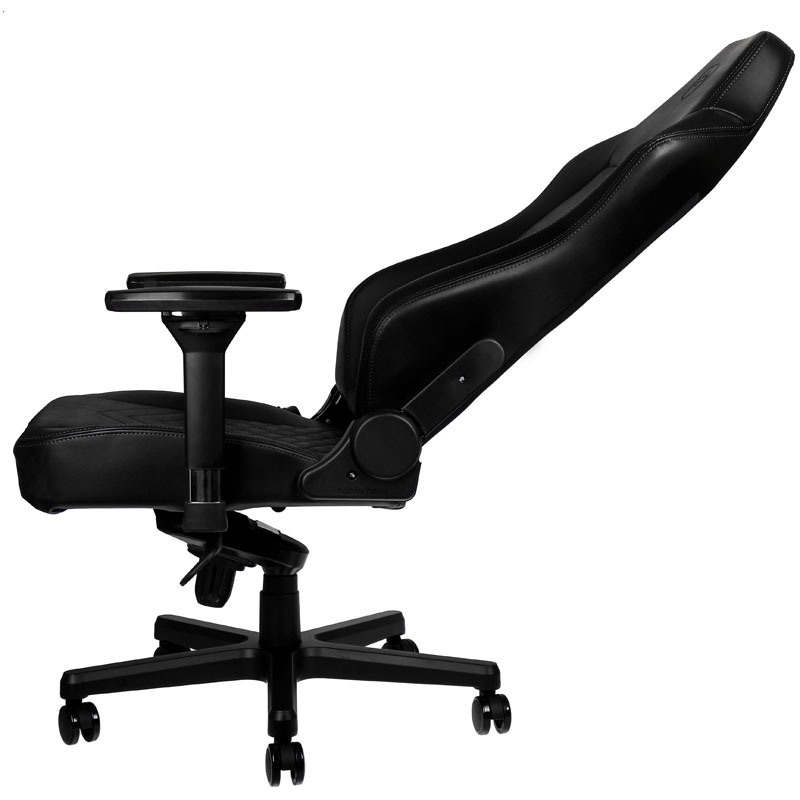 Due to popular demand, noblechairs has integrated adjustable lumbar support into the HERO - support which can be perfectly dialled-in according to the user's individual requirements, this is performed by means of a wheel located on the side of HERO. Needless to say, this is a feature that until now was restricted to only the highest of high-end premium office chairs. This enables the backrest of the HERO to conform to the natural curvature of the low back, resulting in a more natural and comfortable posture while seated. Furthermore, noblechairs listened to extensive customer feedback, resulting in not just an overhaul to the armrests - but also an enlarged, optimised backrest and seat area. Additionally the HERO also comes equipped with a memory foam headrest, an adaptive material that allows the headrest to better conform to the user's individual head shape. This enables HERO gaming chairs to offer more comfort than ever before, meaning once you've sat on one you'll be reluctant to tear yourself away from it. Each chair in the HERO series is manufactured with an incredible degree of care and consistency, just like noblechairs' renowned EPIC- and ICON series. The steel frame, the solid aluminium base, as well as the Safety Class 4 gas lift all combine to ensure exceptional stability. Breathable cold foam upholstery, the high density of which means it excels at retaining its shape, is covered in premium PU-leather or even with real leather. Of course, the HERO is also available in a variety of colours - the choice is yours!